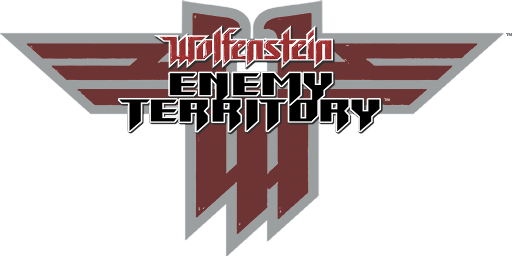 Wolfenstein: Enemy Territory is an interesting first-person shooter. Trying to capitalize on their success with the online part of Return to Castle Wolfenstien, they developed an online component for RtCW and farmed out the single-player mode. Turns out, the SP mode sucked, so they ditched that and gave away the online game. The Game's PAK files remained proprietary (as always) and they released the source code for the game engine. The original release had a Linux version as well as Mac and Windows version and can still be downloaded from SplashDamage. The problem with the Linux version is that Linux changed sound subsystems (OSS, ALSA, PULSEAUDIO) and the sound component of the game is no longer compatible with a modern Linux. Never fear, several kind souls have updated the Linux binaries in two versions: ET-Legacy which tries to keep true to the original game and ETXreal, which modified the format for the game's maps and added hi-res textures. There was no point to installing the original Wolfenstein:ET since the Linux version's sound is broken, but you still need to download it to extract the Game Data. For either alternative game engine, you must obtain the original game data from the original release which can be downloaded here. 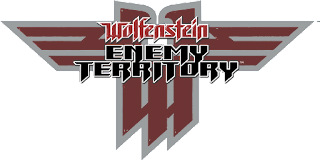 You'll need to copy pak0.pk3, pak1.pk3 and pak2.pk3 from your Wolfenstein: Enemy Territory /etmain directory to the /etmain directory of your alternative game engine. You will only need the three *.pk3 files and you can delete all the other files. I suggest that you create an archive of the game data files and save the archive to a safe location so you only need to do the extraction once. I installed ET-Legacy on 64-bit Mageia6, 32-bit Mageia6 and 32-bit Windows7. ET-Legacy has different installers depending on what OS you will be using it with. The game is installed with a shell executable made with makeself, so make the script executable and launch it AFTER you have placed it in the root directory you want. I prefer ~, but you can put it anywhere handy. The installer will create a ~/.etlegacy which is where I suggest you put any custom PK3 files, maps, mods and total conversions. ET-Legacy tries to be compatible with as many mods as possible, but some may not work or need tweaking. There is an active community supporting this game, so that would be the place to ask questions. I tried using ETXreal's graphic with ET-Legacy and sadly, it's not compatible. All three versions will benefit from hi-res textures found here. Of course, there are many mods available there and other sites. ETXreal uses the enhanced XreaL id Tech 3 GPL engine. The homepage is spartan, but informative. It supports many more choices for video resolution, but does not support the 2560x1080 resolution of my LG 29UM-57-P or the 3840x1024 of my triple-multi-monitor configuration. The homepage offers a great deal of information about setting r_ variables manually. While the project seemed to hold much promise, the project sadly seems abandoned 5 years ago. On the other hand, it is playable. They include the binaries for all supported operating systems in the single 7zip archive. Install the p7zip package to extract the contents of the archive. Extract that to you home directory. Then it is necessary to find the appropriate binary and move it to the game's root directory, the one that contains the /etmain directory. The installer creates a ~/.etxreal directory which is where I prefer to place any custom PK3 files, maps, mods and total conversions. Be aware that ETXreal may not be compatible with all your old mods and you might not be compatible with Wolf:ET or ET-Legacy servers, but with hi-res textures, it sure does look swell and ETXreal has its own servers. There is an active community supporting this game. In both cases, you can launch the game from the command line with the full path to the binary, or create a startup script in ~/bin if that is in your path. For a custom resolutions, the cg_fov for 16:10 resolutions (i.e. 1440×900, 1680×1050 and 1920×1200) should be 100.39 and for 16:9 (1920×1080) 106.27. Edit etconfig.cfg in your home directory. Many mods are available at ModDB, including total conversions. A table of mods compatible with ETlegacy is found here. Here is a guide on running bots, specifically OmniBOT. Bots are a way to populate a server and play the game. These bots are supported in Doom 3, ET, ET:Fortress, Fortress Forever, Quake 4 and RTCW. The ET OmniBOT HOWTO is here. There is am OmniBOT Mapping HOWTO that teaches you how to add waypoints to maps that do not have them.